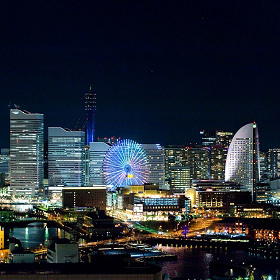 Just an hour away from Tokyo, rich in tradition and Japanese culture, Kanagawa is an ideal destination for those who wish to experience the real spirit of Japan. Temples, hot springs, Mt.Fuji, unique Japanese food, picturesque sceneries is what awaits you here. Kamakura is an ancient town located just one hour away from Tokyo (by train or car). 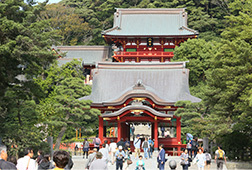 While close to the modern and vibrant center of Tokyo, Kamakura retains the feel of an ancient capitol city. Traveling around Kamakura's historic sights, such as temple gardens blossoming with seasonal flowers, ancient temples designated as important cultural properties, and the Great Buddha, known for its dignified appearance, is something definitely worth experiencing during your trip to Japan. Wash your money at Zeniarai Benten Shrine and it will double! 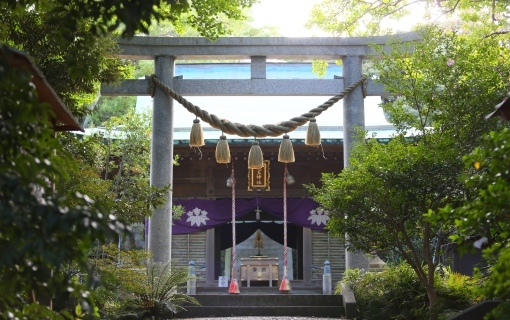 There is a mysterious legend surrounding this shrine, stating that if you wash your money in the spring water bubbling up within the shrine precincts, your money will increase many times over. You may be tempted to take your washed money and hide it away in a safe place, but it is said that you should dry it with a towel or tissue and spend it immediately. Apparently, the money you spend will enrich the world and come back around to bring wealth to you. The Great Buddha, the most recognized symbol of Kamakura. The Great Buddha of Kotokuin temple is the most recognized symbol of Kamakura.To Japanese people it is known as "Kamakura no Daibutsu-sama," "The Great Buddha of Kamakura". The similarly famous Great Buddha of Nara (Todaiji Temple) is indoors while the Great Buddha of Kamakura is outdoors, presenting itself maginicificantly from afar. The 11.31 m tall structure is all the more impressive when viewed from up close or from inside! Strolling the beautiful gardens of Hasedera Temple. Hasedera Temple, known colloquially as the "Temple of Flowers" is famous for its beautiful traditional Japanese gardens. June, when the hydrangeas are in full bloom, is the best season to visit. However, even in the winter you can enjoy the garden's calming landscape. Walk around the beautiful gardens that encircle a pond, then climb the staircase to the main temple building and upper gardens, where the scenery of Yuigahama town spreads out, right before your eyes. Take the Enoden train from Hasegawa to Wadazuka (~7 min). It's just across the station! A short Oshiruko break, a sweet desert that will warm you up on chilly days. After strolling through Kamakura's ancient streets, warm yourself up at a tea house. "Amamidokoro Mushinan" located at backstreets of Kamakura is a place not to be missed. Here you can enjoy Japanese traditional sweets, like "oshiruko" also known as Kamakura zenzai, a sweet red bean soup featuring soft rice cakes. The "sweet bean soup" has a soothing taste with an elegant sweetness. The view of the romantic Enoden railway and the classical Japanese garden will make your short break all the more pleasant. 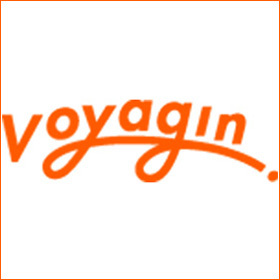 If you don't want to spend your time researching and are worried about getting lost in Japan, Voyagin is your answer. It's a hands-on travel marketplace that lets you reserve unique tours of local areas, where a local guide or a student will make sure you can fully enjoy a Japanese experience of your choice, and truly feel what Japan is all about before you leave the country. Kamakura is the ideal place to take advantage of Voyagin. 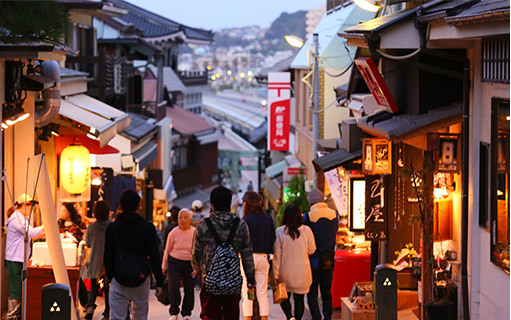 Walking through historical Kamakura with a private guide adds even more local flavor to your journey and allows you to find so much more about Japan and Kamakura. Enjoying a traditional bowl of powdered green tea, matcha, at the tea room with views on traditional Japanese gardens at Jomyoji shrine. Enjoying beautiful bamboo gardens of Hokokuji shrine. Tsurugaoka-Hachimangu, the most important and very likely the most gorgeous Shinto shrine of Kamakura. 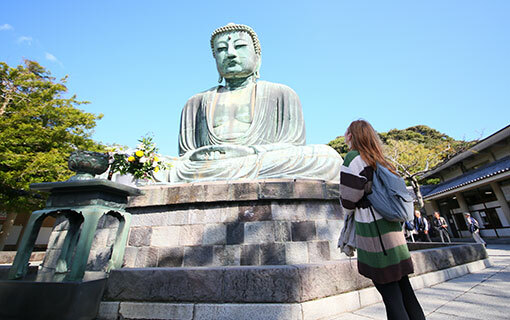 See more Kamakura tours and cultural experience offers on Voyagin! Komachi-dori is a 360 m long commercial street connecting the east exit of Kamakura Station with Tsuruoka Hachiman Shrine. Both sides of the street are plentifully-lined with shops, including general goods stores, sweets shops, and Japanese restaurants. 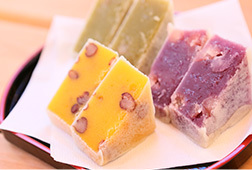 Enjoy Kamakura's famous Japanese sweets as you walk and search for souvenirs. Though not very long, on this street you will never run out of things to try, look at or take pictures of. At the "Sasarinto" gallery on the Tsuruoka Hachiman Shrine side of Komachi-dori you can find the "Mirai Kaiun-do" specialty shop, which sells lacquerware and chopsticks. 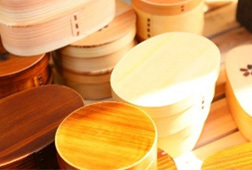 The handmade wooden dishware, such as chopsticks or bento boxes, would make ideal souvenirs from your trip! 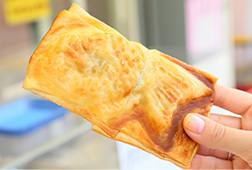 "Kintsuba," (Kamakura Itoko Komachi-dori-ten) is a Kamakura-style Japanese sweet made by wrapping mashed pumpkin with red bean paste and baking it to moist perfection. The natural sweetness permeates every mouthful. Take the Enoshima Electric Railway (Enoden) train from Kamakura for 24 minutes and you will find yourself by Enoshima, a small island, 4km in circumference, connected to the mainland by the Enoshima bridge. 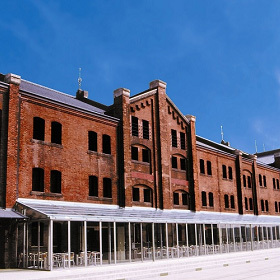 Here, you will be embraced by the atmosphere of Japan's good old days. Be it weekend or weekday, it's always lively and crowded with people taking walks, enjoying local cuisine or worshipping at the shrines located on the top of the hill. From the island, you can enjoy picturesque scenery in every direction, including the sea, mountains, nearby cities, and fisherman's wharf. 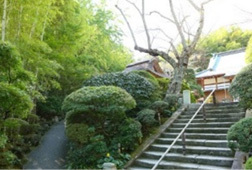 Kodama Shrine is just a short walk from Enoshima's shopping street. This comfortable spot is enveloped in peace and quietness. General Gentaro Kodama is enshrined here. He is known as the "God of Victory," as he led the Japanese to victory in the Russo-Japanese War. Though not as ostentatious as Enoshima Shrine, this mysterious spot will touch your heart with its dignified atmosphere. The Enoshima Nakamise Shopping Street that extends out from in front of Enoshima Shrine is Enoshima's main street. 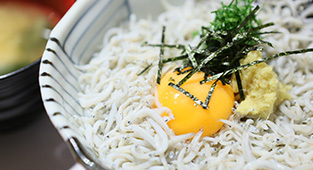 It is lined with restaurants serving the local speciality, Shirasu-don (a rice bowl topped with whitebait), as well as souvenir shops. The best thing to do here is walk and eat. Trying shirasu snacks, like potato dumplings, hamburgers or croquettes will make you feel like a local. Enoshima Shrine is one of Japan's top three shrines to Benten, the Buddhist goddess of fortune. There are many small shrines within the vast precincts enshrining these three sister goddesses. It is said that wishes for fulfillment of love are granted here, making it a popular spot for couples. Take a leisurely stroll through the precincts as you visit each of these shrines. High up in Enoshima, the "Il Chianti Cafe Enoshima" is an Italian restaurant that offers views overlooking the ocean. 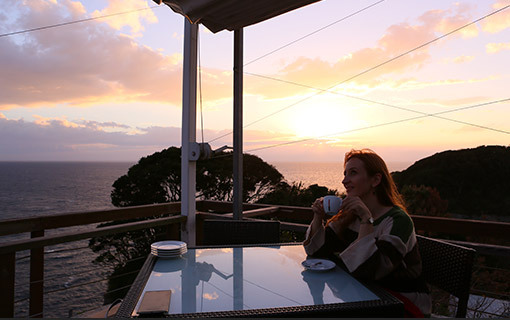 Enjoying a cup of tea or a light meal while watching the sun setting over the ocean in front of your eyes is an experience not to be missed. These little white fish or "shirasu", very tender with their faintly sea-like scent and refined flavor, are an Enoshima speciality that you cannot miss. 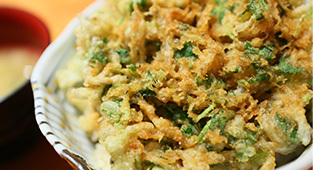 Enjoy the full extent of Enoshima's cuisine with "Shirasudon" or fragrant "Shirasu Kakiagedon" . Hakone is only an hour and a half away from Tokyo by car or train. It has long been a popular hot spring area. 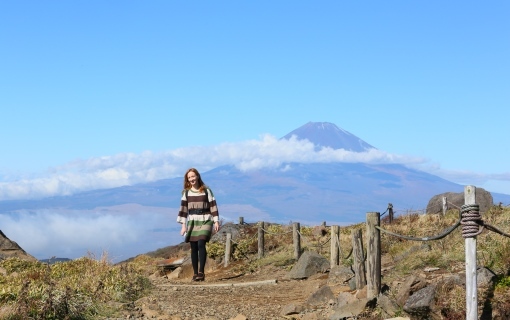 But hot springs are not all there is to enjoy in Hakone; it is also one of the best places to enjoy views of magnificent Mt.Fuji, as well as a pirate boat cruise on the lake, beautiful red shrines and many local shops and cafes. From Hakone-en Station on the shore of Lake Ashi, you can take the ropeway to the top of the 1,357 meter-high Mt. Komagatake. You won't be able to put your camera down as the beautiful landscape unfurls through the ropeway car's windows. From the observation deck you can enjoy not only splendid views of Mt. Fuji but also of Lake Ashi and and the Hakone town area. You can also take a short hike to the summit. 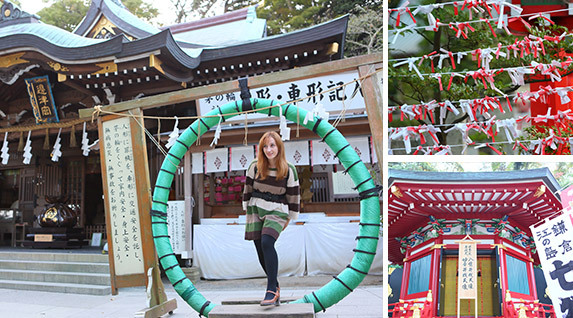 Here you will find Hakone Motomiya Shrine, where you will be surprised at the picturesque views at the other side of the mountain. Access: From Odawara Station, take Izu-Hakone bus to Hakone-en. 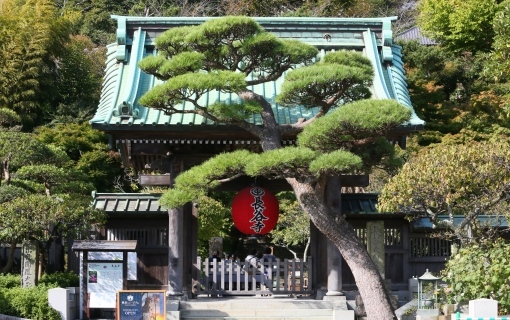 Hakone Shrine is considered as one of the top "spiritual power spots" of the Kanto region. Believed to be built in 757, it has a long history. Starting from the Heiwa no Torii ("Peace Gate") on the shore of Lake Ashi, climb the stone steps through the greenery to the main buildings of Hakone Shrine. This red and wooden shrine surrounded by green forests makes a rather cute picture, somehow bringing a smile to your face. You will feel refreshed, enveloped by the mystical atmosphere here. At the Motohakone Port based near Hakone Shrine, you can board a Lake Ashi cruise. There are 3 types of cruises available. You should definitely take one that will take you to Togendai Port. Breathe in the fresh air aboard the boat as you look out on Hakone Shrine's Heiwa no Torii ("Peace Gate"), the forest-covered mountains, and Mt. Fuji on clear days. If you are lucky enough you can capture both Heiwa no Torii and Mt. Fuji in one picture! 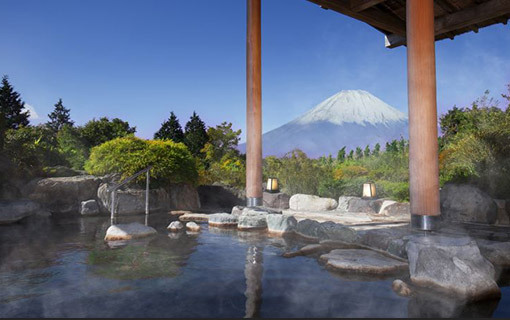 Hakone is synonymous with hot springs, many of which allow you enjoy the beautiful surrounding nature. At some of them you can soak in pleasantly hot water while looking out on Mt. Fuji. Hotel Green Plaza Hakone is one of the places where you can enjoy this experience. Here, in the women's bath from 3:00 pm to 7:00 pm, complimentary Fujimi sake is available in the open air bath. 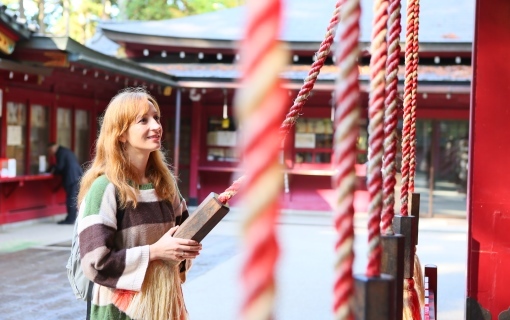 You can enjoy all aspects of Japanese culture here, from hot springs to Mt. Fuji and Japanese sake. Hakone Yumoto is a starting point for sightseeing in Hakone. When you get off the train at Hakone Yumoto Station, a shopping street crowded with many tourists unfolds before your eyes. 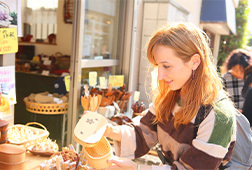 Here you can find souvenirs unique to Hakone, from sweets and pickles to woodworking. 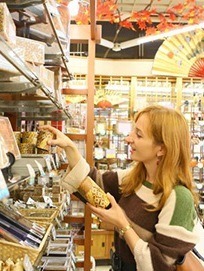 Having fun chatting with the friendly shopkeepers and shopping around is definitely a good way to finish your trip. Decorative wood crafts are one of the specialities of Hakone. 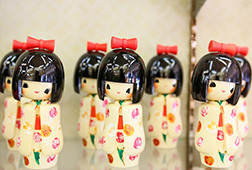 Japanese wooden dolls and products made with colorful wooden elements (tea boxes, accessory boxes, hair clips, and many others) will make great souvenirs of Japan. "Fujisan Yokan" (Mt. 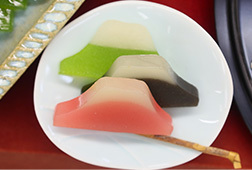 Fuji jelly) is a confection made in the shape of Mt. Fuji and is a characteristic Hakone sweet. It is available at Tanakaya Souvenir Shop, which is filled with all sorts of confections. 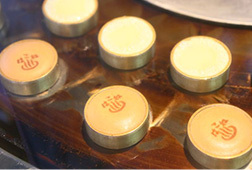 The smell of freshly baked manju buns waft from the front of Kikukawa Shoten (TEL:0460-85-5036). The buns are a kind of Japanese-style cake, made with soft, sweet sponge cake and stuffed with white bean paste. 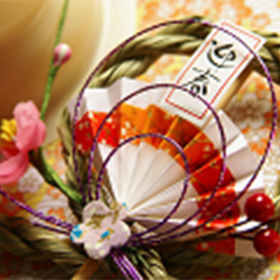 See Hakone tours and cultural experience offers on Voyagin! By Train/Subway: JR Tokaido Line, Yokosuka Line, and Shonan Shinjuku Line are very convenient for access to Kamakura from Tokyo. The Narita Express Train departing from Narita Intl Airport has also a direct service to Ofuna Station, which is just two stations away from Kamakura Station. By Train/Subway: Odakyu Railway connects Tokyo (Shinjuku station) and Hakone-Yumoto Station with the "Romance Car" limited express. The journey lasts just 85 min and costs 2,080 JPY one way. For budget travelers local trains are recommended; the journey costs almost half the price, but takes much longer.